A new Stargate SG-1 Unleashed Episode, “Sekhmet”, has been created, not by MGM but by a fan who has taken game engine footage from a Stargate SG-1 game and edited together an exciting new episode. Story (C) 2005-2016 Mr SciRev. The fanfic occurs simultaneous to Roswell’s Pilot episode. This fanfic was referenced before it was written, way back in WHOSLIDERS 4. The Sliders have developed a technique called Sliding which allows them to go to different dimensions or parallel universes, but will they ever find the way to their home earths [Earth-001 for all except Maggie who is from Earth-022 and Diana from Earth-920]? The Doctor and the other Sliders emerged from a wormhole. Sam was suggesting to go to Stargate Command, if it still existed. The Doctor said it would exist, since Hindle had known of it around this time. Professor Arturo said that was great, perhaps they had time travel by this time. “We will see” Diana said. Diana sighed. She hoped they would get back to the 21st century. It felt strange to slide, let alone to slide in the future now. By this year the Stargate was public knowledge – everyone knew about it, everyone learnt about the famous SG-1 team of Teal’c, Jack, Sam and Daniel. They also learnt about other SG-1 members. SG-1 however was not just a part of earth’s history. As time passed, new members joined the SG-1 team. This was the day that a new member was becoming part of the SG-1 team. His name was Hindle. He had been to outer space before, since he was military and he had been to the Deva Loka colony. Failed colony. And it was straight at the edge of destruction. Then the Doctor arrived and had saved them. The Doctor had left, but without his knowledge the planet was left in a time loop. Thankfully the Doctor had subsequently returned here, took Hindle with him and the Sliders. Now Hindle was on his own again. He looked up the SGC complex, which had kept the same name surprisingly. He had seen it in the 20th century, he had met the legends themselves – the first SG-1 team. Just last week he had applied to become a member of SG-1 himself. His application had been accepted, and he went to Cheyenne Mountain. He met with General Tealcson, a descendant of Teal’c of Chulak himself who had taken Earth as his adopted homeworld. 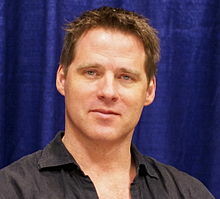 Tealcson described the other SG-1 members to Hindle. There was an alien called Dawaq from a world which had been overrun by an alien enemy, a human woman with the name of Sarah who was a diplomat and a technical expert on the Stargate and wormhole theory with the name of Dorran. They formed the new team who would be exploring the multitude of planets with Stargates. Exploring because the worlds changed from time to time, and because it felt like a better word than ‘patrolling’. Hindle was still in Tealcson’s office when he heard a voice. A familiar voice. No, it couldn’t be. Yes, it was him. The Doctor had returned! Who were those people with him? He recognised Sam from SG-1 of the 20th Century – the legend herself – here and alive as if no time had passed! Everyone around him was in awe! He also recognised Quinn, Arturo, Diana and Wade. Tealcson eyed Hindle suspiciously. How on earth did he know these people and how did he expect the legends to be here. Why, everyone knew the legends died a long time ago. What. Who was that woman, she looked like the famous Samantha Carter. ‘Security’ he shouted. ‘No need. Here’s my old UNIT pass if it still means anything these days.’ the Doctor produced an ID card from his wallet. Hindle had gotten Tealcson to allow Sam to do some modifications to the Stargate’s control systems, allowing it to be used to generate a wormhole back to the past. She calculated when a solar flare was going to occur, and used this fact. She dialed the Stargate address – earth’s address of course – and this took the path of the wormhole very close to the sun and on its right side. The result of this being a bending of the wormhole plus an appropriate time dilation to allow the trip back to the 21st century. Hindle had gotten permission from General Tealcson to take a leave from the future SG-1, so he could rejoin the Doctor and help him get back his TARDIS. The Doctor and the Sliders – Sam and Hindle included – came out of the Stargate at Stargate Command. The wormhole dissipated soon afterwards. General Hammond stood there near the Stargate, amazed. He was expecting SG-1 to come back. They had been gone for hours. Instead, here was the Doctor when you needed him. “It’s a long story. It’s been captured by a bad guy named Ahab. I need to get it back – it’s URGENT” the Doctor replied. “I understand. But I will send a rescue mission first. SG-1 need saving!” General Hammond said. “PX8-999?” Hindle knew that name. It was the old legends’ name for the planet he had been stationed on..
“Kinda!” the Doctor exclaimed. “Don’t tell me you went to Kinda… This is not good.” This could be interference with Hindle’s own past, too, he surmised. “It is Kinda, Doctor!” Hindle said. “You don’t understand. Last I heard from SG-1 they had discovered a sliding device on Kinda and they were going to bring it back to earth since the planet seemed uninhabited. I think they were ambushed.” Hammond explained. “There are natives who live there. They expect the return of the Rulers – the Goa’uld, that is” the Doctor said. “Son, you’re reassigned to SG-2 for the time being. When you come back, you can rejoin the Doctor and go back to your future time as part of the future SG-1 – assuming he gets his TARDIS back. Or even stay in the present and join Stargate Command. Your expertise would be greatly appreciated.” Hammond said, reassuringly. Tegan, Adric, and Nyssa entered the Gate Room where everybody seemed to be. They were bored but at the same time, they had enjoyed hearing about the various things which had happened to SG-1. It was very fascinating, even for die-hard time travellers like them. It was September 25th. Three vicious and slimy creatures, encased in what looked like “pepperpot” armour, materialised in the town of Roswell. Their target: temporal activity which had occurred in the vicinity of a granolith. These Dominion-Daleks from the future had arrived in present day Roswell. Somebody had travelled through time, and those capable of doing this were the Time Lords. Thus the Doctor and the Sliders must be here, on this very world! They had found the right place, then, they thought. They were wrong, of course. The granolith was Gallifreyan technlogy, no doubt, and had been used by the Seventh Doctor and left by him for Max Evans to use in the alternate future (so he would have been able to go to the past, altering the timeline). They also got the time wrong. Alt-Max had NOT travelled back to this year, but to the next year! This was also just two days after Max had saved Liz Parker’s life back at the Crashdown Cafe’… She was lying there, dying after a bullet hit her chest, when Max put his hand on Liz and she was healed completely, with no trace of the bullet or blood. She should have been dead, but she was alive. Liz had not slept at all that night, thinking of her feelings for Max after he had revealed that he was an alien to her. That night, Max had visited her and told her how he had ‘seen’ her memories when she had been healed. And when he told her she could do the same if he touched her face and let her ‘see’ his memories, she saw Max as a kid emerging from the pod. The feelings grew intense and very strong. She could feel how he felt alone. She had gotten to know Max as a result much better than she knew him before and now she knew that in his eyes, she was the most special person alive. She kept rereading her diary where she had written the extraordinary events that had happened to her. Max was one of three aliens looking for any clues on their past. His ‘sister’ Isabel Evans and Michael Guerin were the other two who had been ‘hatched’ from the same pod chamber. Her life had changed like the song she played on her PC said.. “Everything in a moment starting here, Something you said is hanging in the air, Now I know my life is sweetening, Changing everything, Something that you said, Turned me from the inside out, Running through my head. Something I have dreamed about“. It was what Max said. It was real and different. She couldn’t think of anything else, even if she tried. Closing her eyes to try to sleep in her bed, only brought her a ‘picture’ of Max in front of her eyes. Early morning, Sheriff Valenti was in his office, when reports came in of oversized pepperpots being seen in the town. He was surprised, this was something he never had heard of. He shrug it off at first, believing it to be a hoax like many. He became curious after some time, when the reports didn’t stop and when a report came in of somebody burnt to a cinder by what was called a laser blast, he decided it was time to investigate. Valenti parked his car in a busy street which had gone crazy. People were shouting everywhere and strange noises came out of an abandoned building. He decided to get closer to see what was going on. What he saw gave him the shock of his life. Aliens, real ones indeed. No green aliens, but pepperpot creatures? He fired his gun towards them, which of course had no effect. Fearing for his life, he tried to get away before it decided to chase him. The Doctor and Hindle had joined SG-2 on their rescue mission to save SG-1 on the planet Kinda. Sam unlike what she expected, wasn’t allowed to go. Instead a few hours ago, she was assigned on a mission to go to Roswell, New Mexico. Even though she protested, Hammond denied her requests and dismissed her. She was angry that she could not go and rescue Jack and the others. Jack was important to her, more than just a friend. She did not wish to let him die without doing anything. But she could not do anything. In the Military, orders are orders. So she left for Roswell. Sam was carrying Zat guns which she hoped would be effective against this strange enemy. She viewed the scene. She was accompanied by some members of the SG-3 team. A man was running out of a building which appeared to be derelict. He was the town’s Sheriff. So he had to be Sheriff Valenti, the son of a man who had claimed, years ago when he was the town’s Sheriff, to have encountered aliens in Roswell. So to avoid Valenti seeing anything she would do, she hid and waited until Valenti was gone in his car. Then she took action. She entered the building and saw the three Dominion Daleks. Sam noticed they sported the word DOMINION on their outer casing. The Daleks saw her too. ‘HUMAN-YOU-WILL-BE-EXTERMINATED-BY-THE-DALEK-DOMINION‘ was all they said, turning to face her. Quickly, and without any useless talking (who wants to talk to Daleks anyway), she fired the Zat gun twice, which apparently they had never seen (and electrified their casings and eyestalk easily), and blew them to pieces. ‘That’s enough’, she said, as she got SG-3 to pick up the various pieces and parts of the Daleks which had been left. The Dalek parts would most likely end up in Area 51 eventually, but Stargate Command would get to examine them beforehand. Little did she know, however, that the dying alternate universe Daleks had managed to send out a subspace signal giving out their Stargate location – the location for Earth. Continued in the next Fanfic Who Sliders 16 “RESCUE ON KINDA” ! The song Liz is playing is “Something That You Said” by the Bangles (on the Doll Revolution CD). Now the news came out that the popular actor Ben Browder of Farscape and Stargate SG-1 fame will star in a Doctor Who episode in Season 7 . This is a crossover fanfic in my fan-series featuring Doctor Who (the Fifth Doctor – as played by Peter Davison in the classic BBC tv series Doctor Who) – and the Sliders. Currently I’m reposting my older WhoSliders volume 1 series which features mainly the Doctor (pre-time war) and the Sliders plus the 5th Doctor’s companions. Story (C) 2001-2017 Mr SciRev. This fanfic could be seen as a prequel to that episode. The sci-fi tv show Stargate Universe (SGU) has been cancelled by Syfy Channel which was showing it in the USA, the actors got to know via twitter (a really bad thing) only.. This is a crossover fanfic in my fan-series featuring Doctor Who (the Fifth Doctor – as played by Peter Davison in the classic BBC tv series Doctor Who) – and the Sliders. Currently, I’m reposting my older WhoSliders volume 1 series which features mainly the Doctor (pre-time war) and the Sliders plus the 5th Doctor’s companions. The Doctor with his companions – currently an Australian hostess named Tegan, alien refugee from the future Max Evans, young irritating genius Adric, alien orphan and technological expert Nyssa and the Sliders – is on a crusade to champion the cause of the innocent, the helpless and the powerless throughout the whole multiverse of multiple universes. The Doctor’s alteration to the Sliders’ timeline has resulted in multiple changes across various multiverse timelines in hypertime. Fixing these holes is an important task of the Doctor which has been sanctioned by an angel of God called the White Guardian. Everybody watched the latest military reports. The Kromagg ground troops had just been defeated by the anti-kromagg virus. Their air support ships, however, remained unharmed. They kept bombarding various targets all over the world, causing widespread destruction. Earth needed help, but who could provide it? The Asgard could not be easily contacted, though the attempts were made through the Cimmerian planet, and Stargate SG-1 learned that Thor was presently unavailable. The Asgard simply replied that due to the Non-Intervention Treaty with the Goa’uld, they could not help. 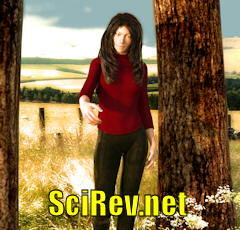 Helping earth would mean the failure of the Treaty and the certain destruction of earth. The Tok’ra would not commit any resources at the moment, so General Hammond contemplated contacting the Tollans. Jack was not too happy about this. He remembered how they had not wanted to give any advanced technologies to earth, because of their Tollan Directive. The Doctor wanted to speak to the Tollans in person, so he insisted on going with SG-1 ie Jack O’Neill, Sam Carter, Daniel Jackson and Teal’c to the Tollan homeworld.